»Best Places for Solo Trips from Bangalore! Solo trips are one of the best ways to escape from your busy lives and explore the world around you. Bangalore, with its IT sector and flourishing industries, is one of the busiest cities in India. An ideal way to take a break from the busy schedule here is to travel to a nearby place during weekends and other holidays. Bangalore has a lot of tourist attractions that you can visit over the weekend. Apart from this huge list of attractions within the city that you can try on weekends, you can also opt to visit a place that is not too far, to have a great trip to a new place and feel much more relaxed and refreshed. If you are at Bangalore and are looking for an ideal tourist location to explore alone, there are many places that wouldn't take much of your time to reach there, yet would be an enriching experience. The city's proximity to Tamil Nadu and Kerala is an advantage to travel to some of these places. Let us take you through some of the places that would be perfect for a solo trip from the city! Travel to Goa, which is located at a distance of around 560km from the city,to explore the most exotic beach destination in India. Mandrem, Ashwem, Morjim and Sinquerim are some of the lesser crowded beaches here that you can explore. Alleppey is located around 593km from Bangalore. If you are planning to visit any place over a weekend, a houseboat cruise at Aleppey backwaters in Kerala would be a great choice. Coorg, one of the best tourist spots in India, is located at around 263km from Bangalore city. This beautiful hill station in Karnataka is known for its scenic views and pleasant climatic conditions. Munnar is known for its tea estates and plunging valleys. This landscaped beauty is located around 475km from the city. When you travel to Mysore that is located around 145km from here, don't forget to visit the Mysore Palace that breathes royalty. Other places to visit here include Brindavan Gardens, Chamundi Hills and Folklore Museum. If you're interested in architecture and are curious to know about the history of a place, Hampi is perhaps the best choice to explore over a weekend. The temples and other ruins of Hampi are located around 343km from the city of Bangalore. 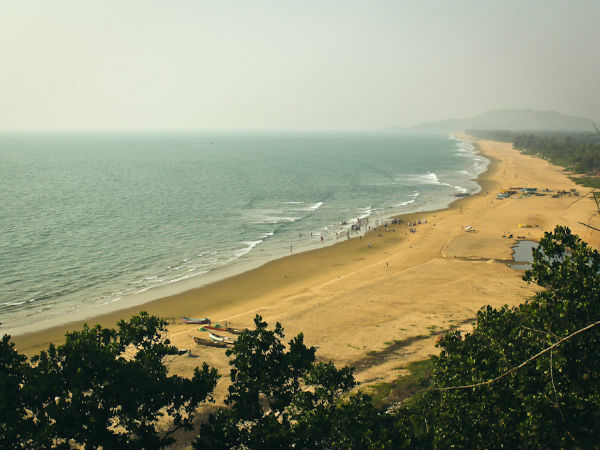 Gokarna is one of the nearest weekend destinations from Bangalore that are also great solo travel locations. Om Beach, Half Moon Beach and Paradise Beach are some of the beautiful beaches here. Gokarna is located around 516km from the city. Karwar is located around 522km from Bangalore, and is among the best places nearby for solo trips. The place has many tourist attractions for you to explore. Ramanagara is one of the best trekking destinations near Bangalore. Located around 48km from the city, Ramanagara is famous for being the shooting location of the iconic Bollywood film Sholay. Wayanad is one of the best tourist destinations in South India. Located in Kerala, Wayanad is about 277km from Bangalore. Banasura Sagar Dam, Chembra Peak, Edakkal Caves and Kurvadweep are some of the must-visit attractions here.